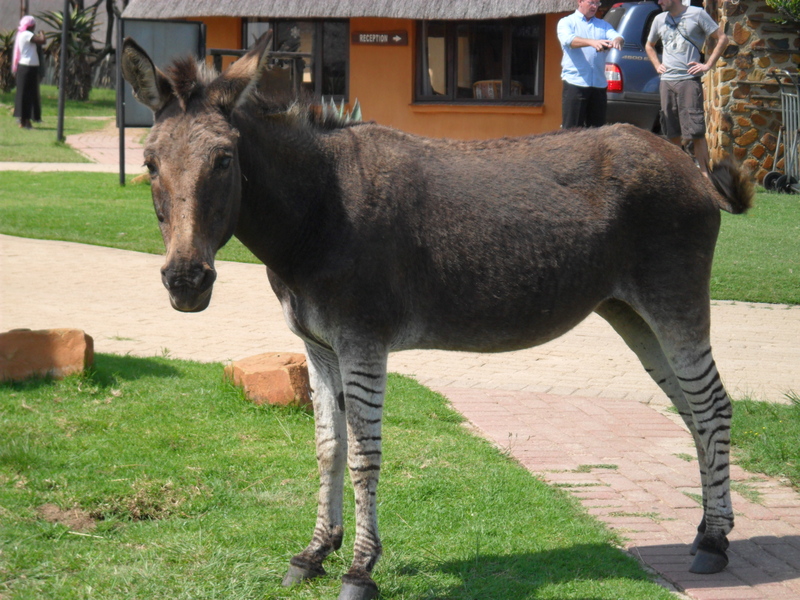 When my family came from England for a visit, we stayed at Heia Safari Ranch in Muldersdrift. 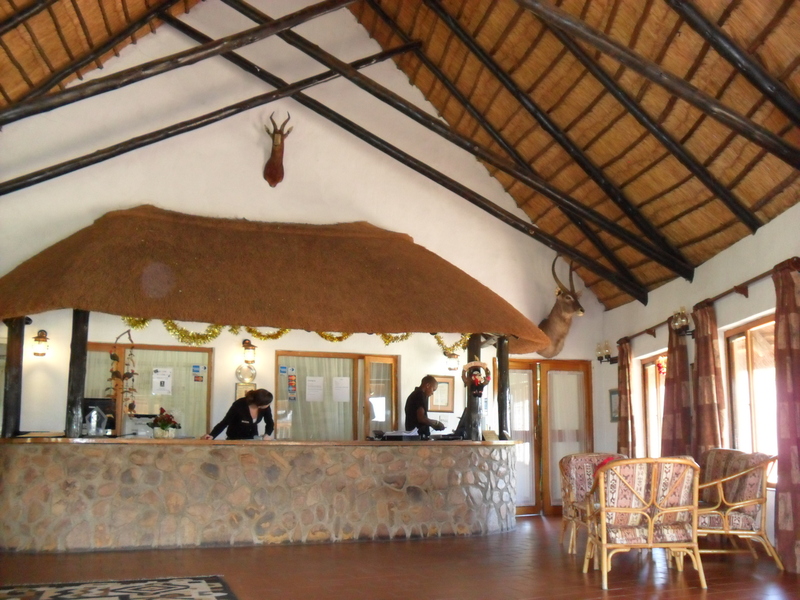 Muldersdrift is a wonderful area for weddings and tourism and Heia Safari is the creation of a amazing space in a beautiful place. Zebra, giraffe, peacock, buck and even a zonkey (cross between a zebra and a donkey), mingle freely with the guests which was a great introduction to Africa for our visitor from New Zealand. 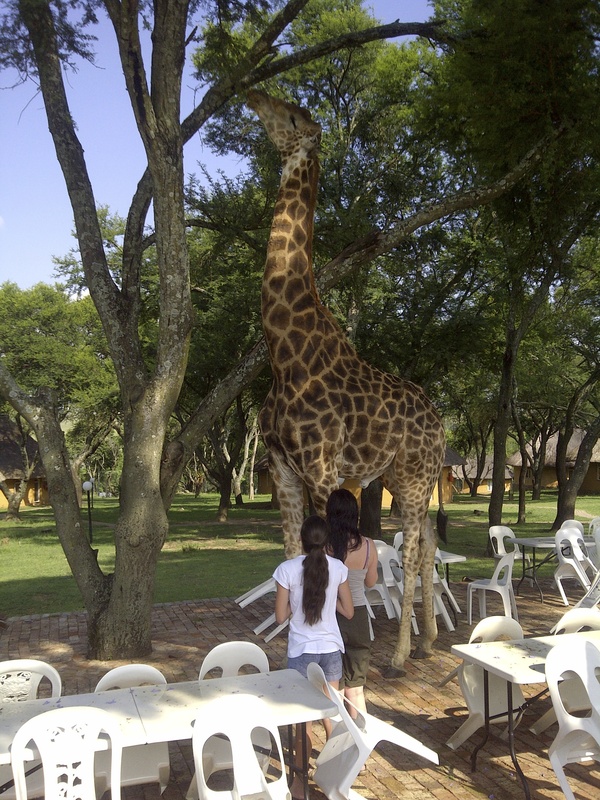 My granddaughters were particularly impressed by the giraffe, who passively nibbled away at the top leaves of the trees, blissfully unperturbed by their presence. 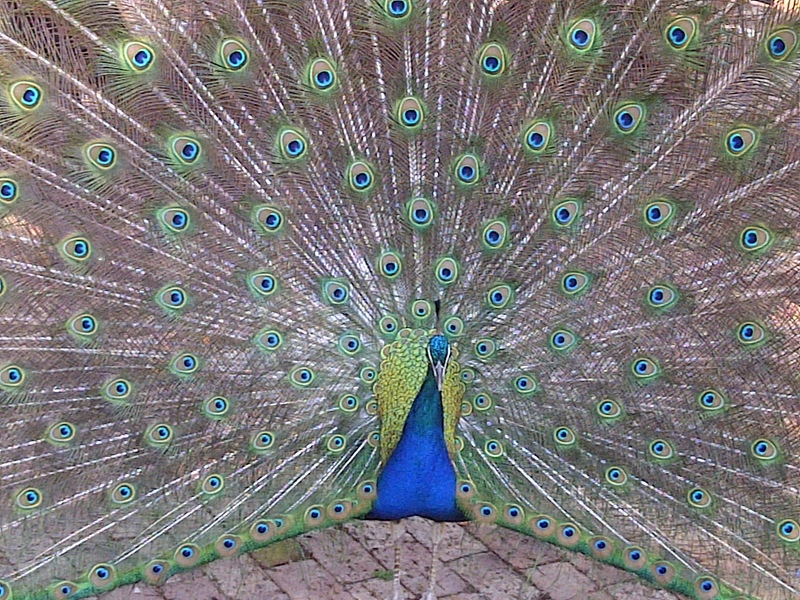 Getting a good shot of the peacock was a real exercise in patience but eventually, he showed off his glorious colours. The zebra like to make their way to the swimming pool for a drink. 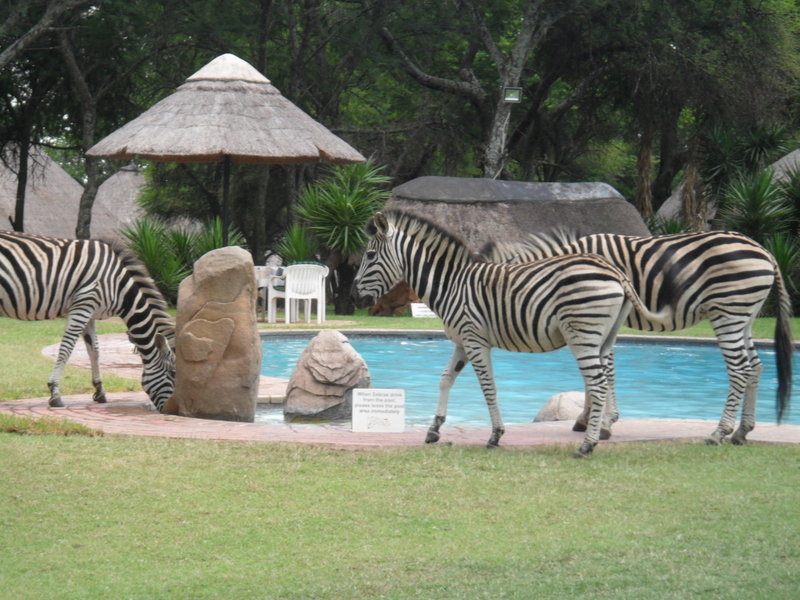 Swimmers have to vacate the pool when the zebras arrive as the safety of the animals is paramount. They cannot be disturbed as, should they be startled, they may slip and injure themselves.